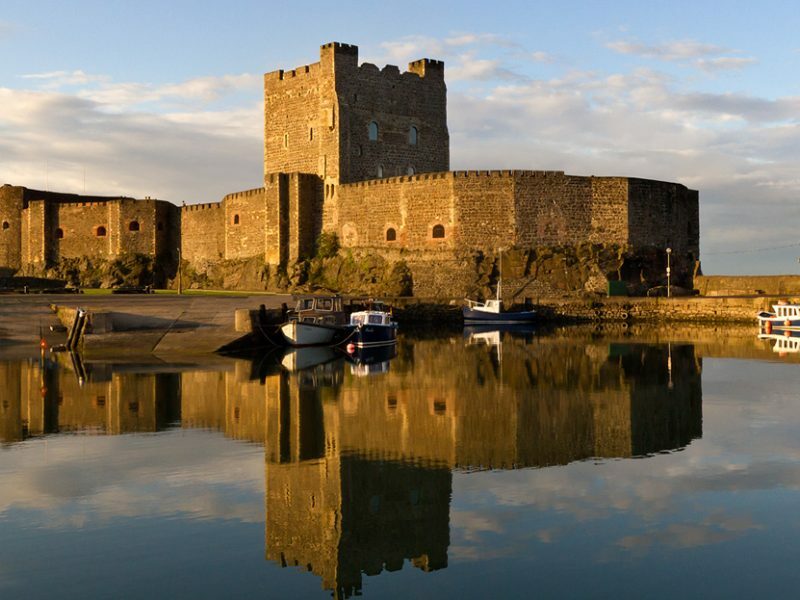 This project consisted of the interior fit out of a new permanent exhibition at Belfast Harbour offices which commemorates the city’s 400 year old maritime history. 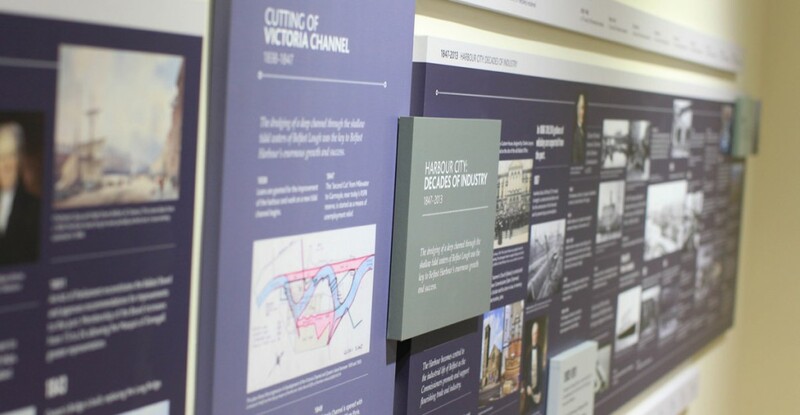 Working with design company Tandem, we brought the vision of the exhibition ‘A Port that Built A City’ to reality in four weeks which included specialist joinery manufacturing. The high profile new heritage space details Belfast’s emergence as a major port and the city’s subsequent growth and development as an industrial hub, right up until the shipbuilding heyday of Harland & Wolff. 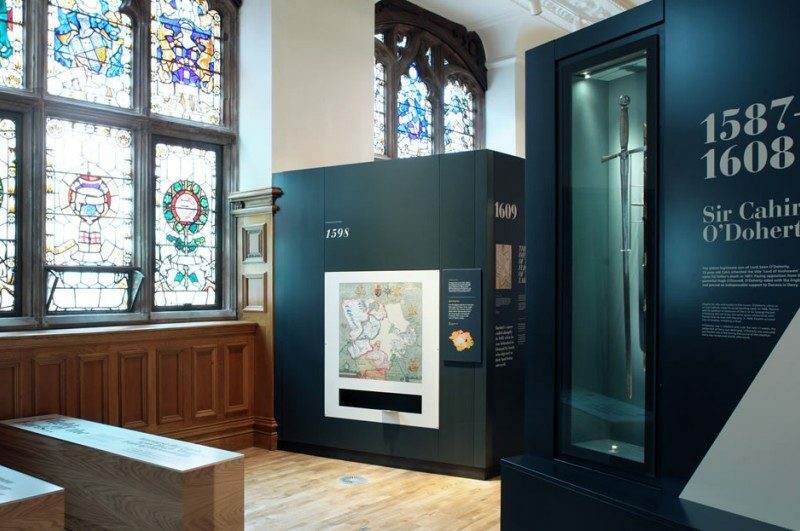 We were responsible for the entire refurbishment of the new Heritage Room which required specialist joinery skills to house valuable historic documents and artefacts which relate to the port of Belfast’s rich heritage. 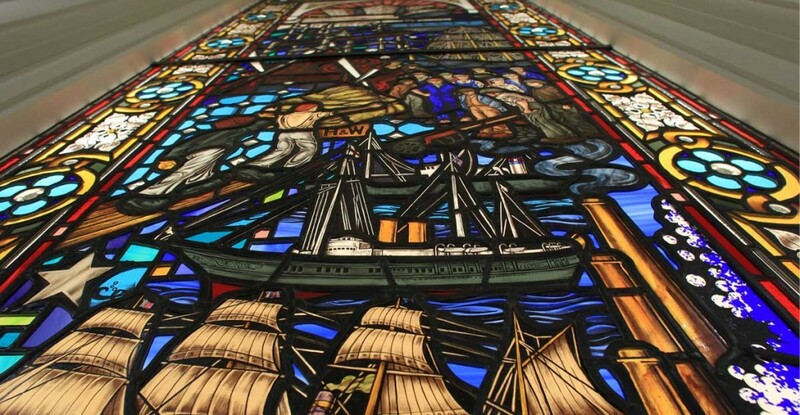 The famous Titanic table, which is on loan to Belfast Harbour from Harland & Wolff, and a stunning new 3.5 m high stained glass window by a local artist, Ann Smith will form centrepieces of the exhibition. There is also an innovative installation featuring famous past chairmen of Belfast Harbour such as William Pirrie (1847-1858) who opened the Victoria Channel and laid the basis for the development of the modern port, and Robert Thompson (1907-1918) who oversaw the Harbour’s investment in dry docks which allowed the city to become the world’s biggest shipbuilder. The brief from the Belfast Harbour was to transform an empty space into an inspiring experience that reflects Belfast’s proud maritime history. We had our joiners create specialist furnishings to house items of historic significance, some of which included illuminated displays while others had to be alarmed to provide security for the valuable artefact inside. We have forged a successful partnership with Tandem which created many of the designs here in conjunction with our in-house creative team. 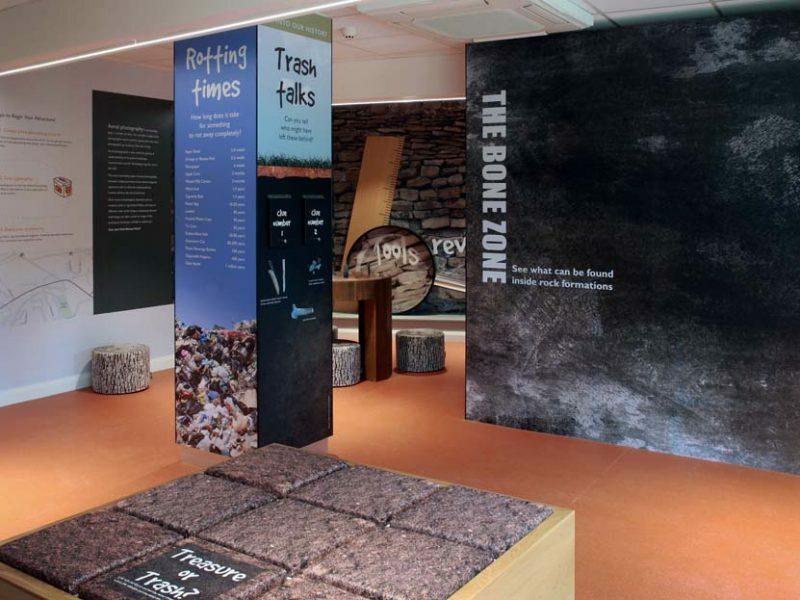 The furnishings, manufactured by Marcon, had to reflect the historic period – but with a modern twist to ensure visitors can enjoy an audio and visual experience. The installation which details the famous past Belfast Harbour chairmen is set off by a specially made lighting display. 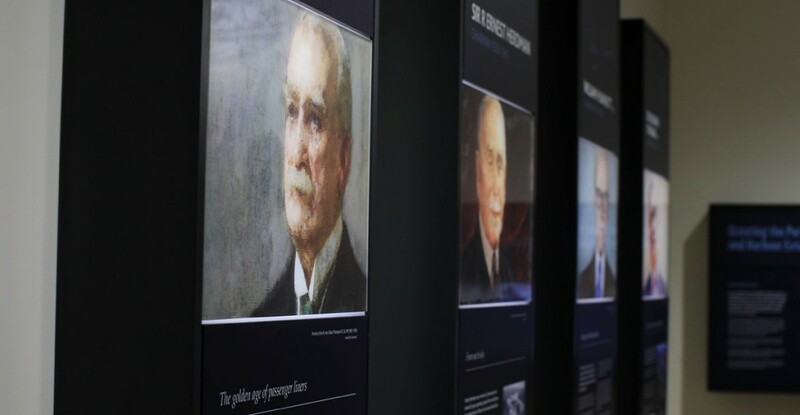 While the historic character has been fully retained, we used modern technology, such as LED sheet lighting to ensure this display can be appreciated by visitors. 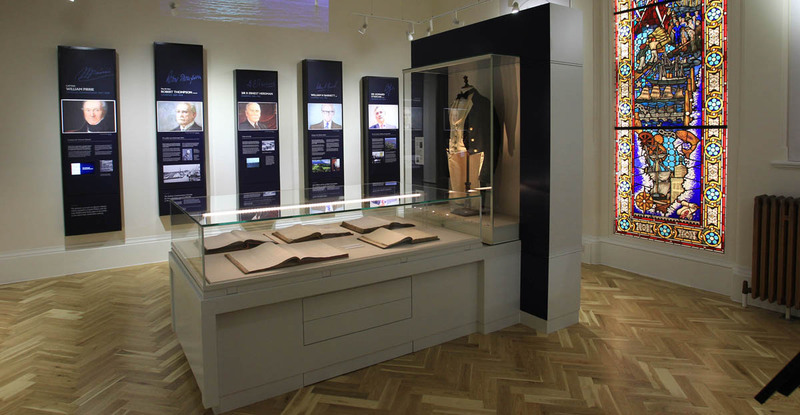 It is significant that a local fit-out contractor and local design team have provided the expertise needed to create the Heritage Room at an exhibition which is a celebration of Belfast’s 400 year old maritime history. Belfast led the world with its craftsmanship in the field of industry and the new exhibition will be a permanent showcase of that history and a reminder that this is a maritime city where the tradition of high quality craftsmanship continues in a new age.